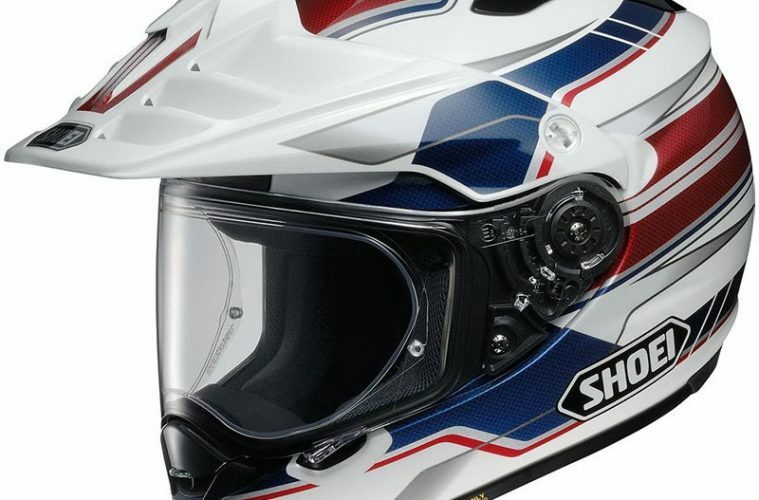 Japanese brand Shoei has been one of the leading helmet manufacturers for close to 60 years, and the Shoei Hornet ADV is their flagship adventure-styled helmet, taking over from the Hornet DS. 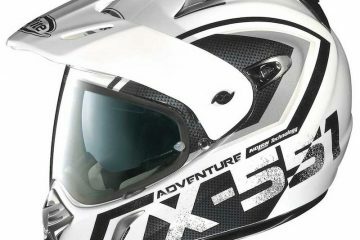 At £369 (or £449.99 if you want fancy graphics) it’s placed near the upper end of the adventure helmet price range, though there’s undoubted quality throughout, and it’s one of the best lids currently on the market. 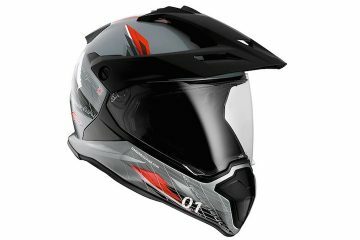 The Hornet ADV makes use of an organic fibre, multi-composite shell in various layers to provide shock absorption and a multi-density EPS liner for added protection, while the interior is lined with Shoei’s 3D Max-Dry liner, which wicks moisture well and mine has stayed fresh-smelling even after a year of heavy use. 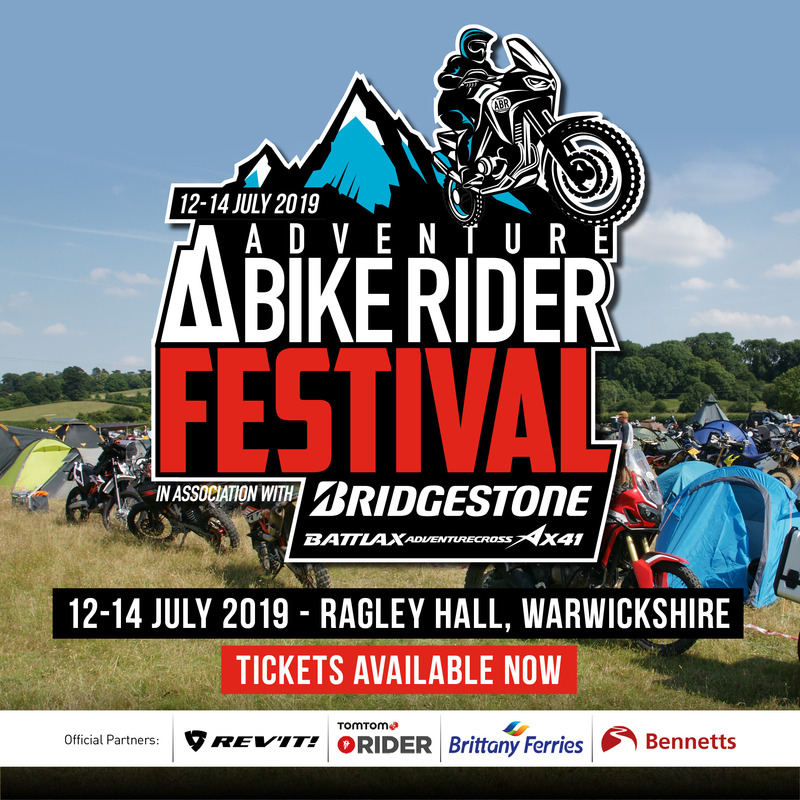 In terms of ventilation, the Hornet excels, which is important for riders with off-road interests that will have them working up a sweat. The chin vent is effortless to operate and the chin bar is extended enough to allow air intake from this vent to dissipate around the face. Two brow vents allow for more air intake (though the switch to open and close these can be a bit fiddly with gloves on), and an excellent vent located on the top of the peak channels air from this area over the head of the wearer. All of this is complimented by two very effective exhaust vents on the rear. The peak on the Hornet is arguably the best in the adventure class. It’s superbly well designed when it comes to positioning and streamlining. 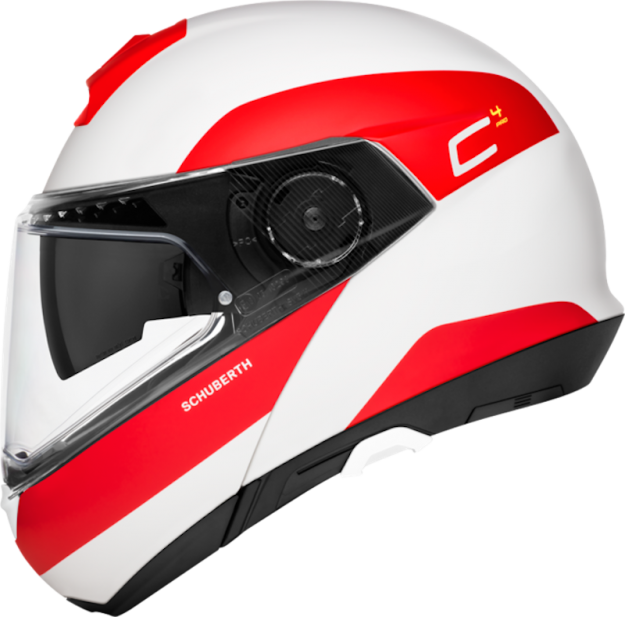 You’ll have to travel at some pretty high speeds (in excess of legal UK speed limits) for it to start to cause any turbulence, and it’s designed to be in-fitting with the rest of the helmet’s looks and aesthetics. Perhaps its only downside is that it’s not adjustable, though I found the positioning to be pretty spot on in just about every condition imaginable. 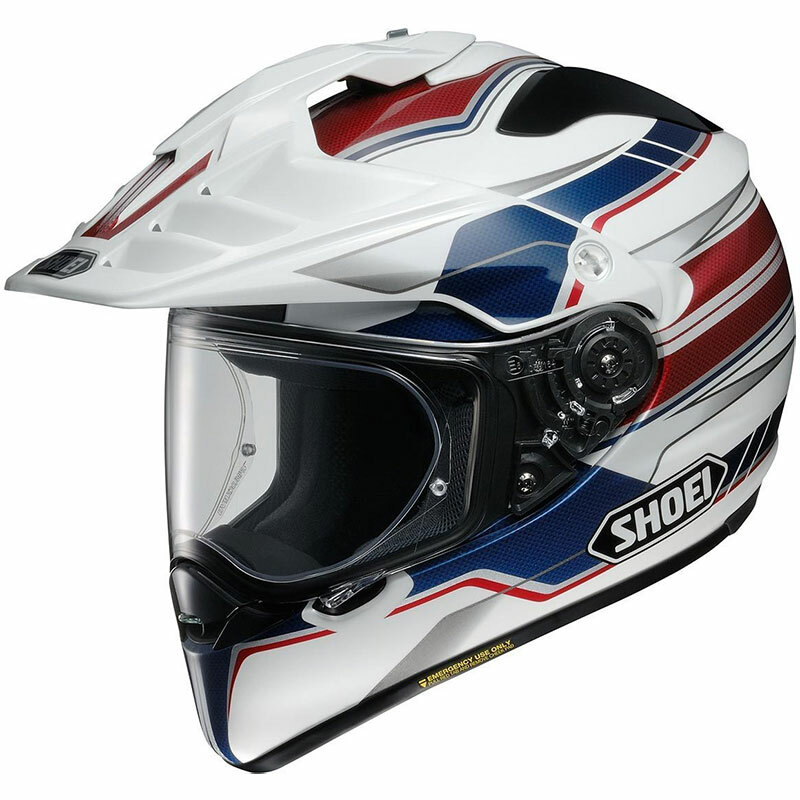 All in all, with the Hornet ADV, Shoei has made a superb adventure-styled helmet. It has a fantastic field of vision (and comes with a Pinlock insert as standard), I found it to be supremely comfortable (I’ve ridden many 16 hours days in this), the peak is the best around and the ample ventilation make it ideal for off-roading or warm weather riding (though when you close the vents it’s suitable for winter temperatures). 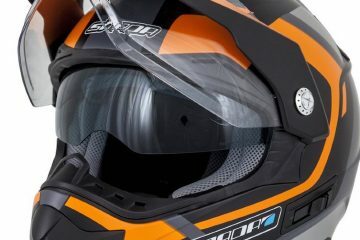 There’s only one catch – if you’re looking for a helmet with an internal sun visor, I’m afraid you’ll have to look elsewhere – though I’ve more than happily coupled it up with a pair of sunglasses or tinted goggles (they’ll fit).